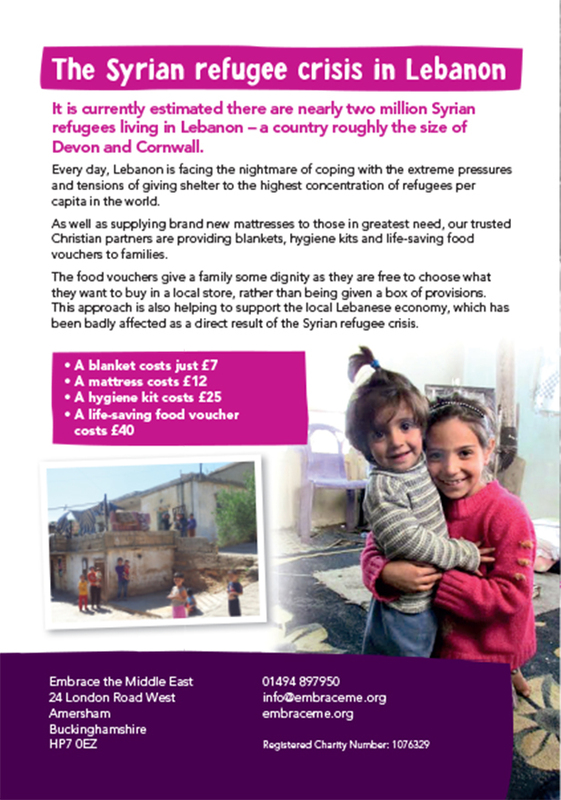 Embrace needed to raise awareness and funds to provide practical assistance to Syrian refugees living in Lebanon. They needed to highlight the scale of the crisis in a country providing shelter to the highest concentration of refugees per capita in the world. 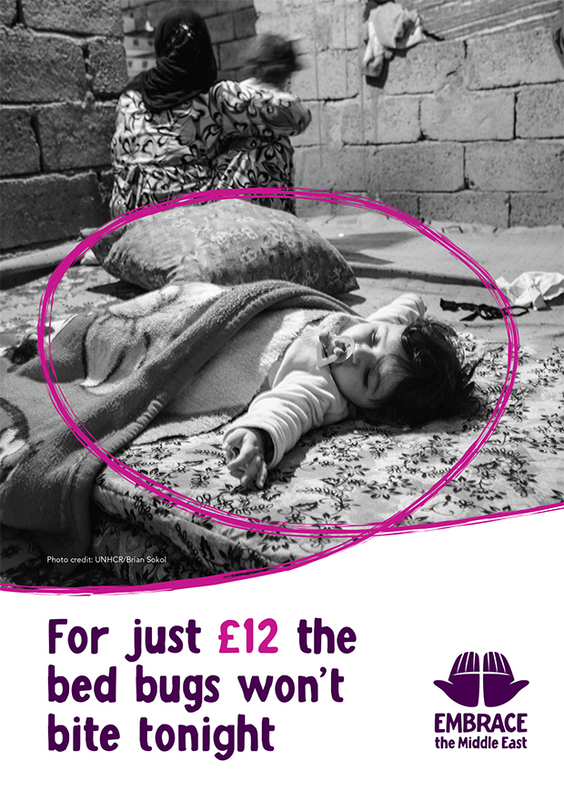 We created and brought to life the “mattress appeal” where supporters were encouraged to donate £12 to provide a brand new hygienic mattress to a child in urgent need of comfort and security. 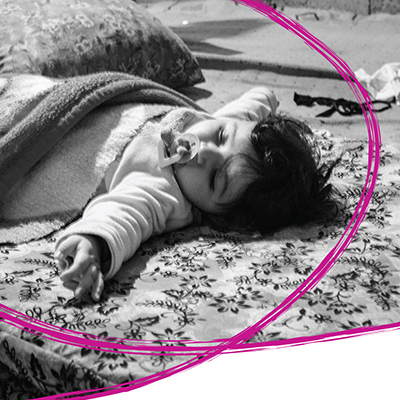 The campaign was promoted through magazine adverts, inserts, exhibition materials and across social media, attracting a significant number of new donors to Embrace.